The term retinitis pigmentosa (RP) is used to refer to a group of degenerative genetic diseases. These diseases gradually kill off the light-sensing cells of the retina (rods and cones), and eventually result in blindness. It is a relatively rare disorder that affects only 1 in 4,000 people. Living with retinitis pigmentosa can be difficult to adjust to without proper support. However, while medical science does not currently have a cure for RP, regular visits with your eye care professional are important to monitor the progression of the disease, adjust to the condition, and so that you can become aware of new RP treatments as they become available. Poor and narrowing peripheral vision. Problems reading or doing intricate close-up work due to the deficiencies in the central field of vision, which is often affected first. 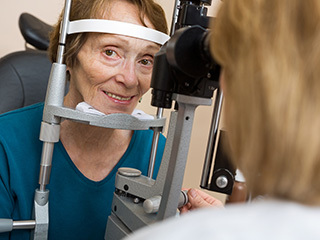 If you or a loved one suffers from any of the symptoms of retinitis pigmentosa, please contact your eye care professional today for an appointment.